Click on Bobby & Julie's picture to contact them now. As one of the top producing teams year after year in the Lake Havasu area, Bobby and Julie Lewis, along with their team, represent their clients with the highest standards of knowledge and professionalism. With outstanding real estate experience, in Lake Havasu City and Parker, as well as intimate local area knowledge, Bobby and Julie work extensively to help buyers and sellers meet their real estate goals. As they say themselves, "We love what we do and are committed to being honest, trustworthy, dependable and friendly. We also pride ourselves on never pressuring our clients. We want clients, and friends, for life...not just one transaction." After 18 years of working as a certified marine technician, with Mercury and Mercury Racing, Brian decided to move in to the real estate industry with his friends Bobby and Julie. 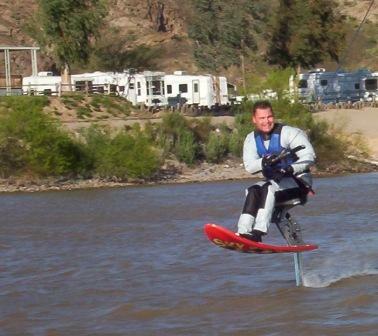 Being an avid boater, and water sports enthusiast, Brian has been spending his free time in Parker, since the late 1980's. He has a wealth of knowledge and an extensive background in the Parker strip communities and the surrounding area. Brian not only wants to work with clients in helping them finding the right home, but he also looks forward to helping families enjoy all that Parker and Lake Havasu City has to offer. Sandi’s previous career was in Health Care Administration, working 10 years as The Executive Director for an Assisted Living in Utah. Although Utah is her home State, she will tell you, “the only shovels in Lake Havasu and Parker are used for playing in the dirt, not shoveling snow, and the only salt you find, will rim your margarita.” The passion she found helping seniors feel at home in Assisted Living is the same passion she feels and provides in helping people find their home here. You will be in good hands with her dedication, passion and knowledge. With more than 30 years of real estate experience, Lori manages the office and not only makes our clients happy but far exceeds their expectations. Her roles include office manager, transaction manager, marketing relationship management, as well as keeping Bobby and Julie sane! With award-winning Realtors® Bobby & Julie Lewis at the helm, The Lewis Team brings an abundance of skill and experience to every one of their Lake Havasu transactions. It’s their clients that say it best. Again and again, the words “professional,” “excellent,” “knowledgeable,” and “above and beyond” appear in the notes of appreciation sent by satisfied clients. That’s because Bobby & Julie Lewis care about the personal and financial well-being of their clients. They listen, ask pertinent questions, and provide their clients with the information needed in order to make informed decisions. Property owners themselves, they recognize the importance of details, local knowledge, and service. Bobby and Julie lived in California when they met in their 20s. “We loved coming to the river and Lake Havasu each weekend,” Julie recalls, “and we dreaded going home to the hustle and bustle of Southern California each Sunday afternoon.” They were married (wearing flip flops) on the shores of Lake Havasu, bought a Parker Strip river house, and finally moved to the river in 2004. With years of residential property management experience behind them, Julie and Bobby earned their real estate licenses in 2004. Since then, they have received numerous regional, national, and international awards for sales production and service. They have assembled a highly skilled team with extensive local knowledge to meet the needs of homeowners moving to, from, and within the area. “Our team approach means someone is always available to help our clients,” Bobby says. “Between all of us we can get the answer to anything real estate related, or frankly, nearly anything Lake Havasu City or Parker related,” Julie adds. “We are committed to being honest, trustworthy, dependable, and friendly,” Bobby says. “We never pressure our clients. We want clients and friends for life, not just one transaction.” Experts in marketing and negotiating, they work with an array of clients and properties, from modest homes to lavish estates and second home investments. 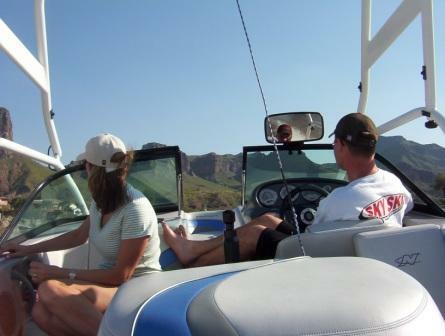 Today Bobby and Julie Lewis live in Lake Havasu City and own a vacation rental by the name of “Dock Holiday” on the water in Parker, Arizona, and another at the base of a chairlift in Telluride, Colorado. In addition to their busy professional lives, Bobby and Julie are parents and very involved in the community. To learn more about their no pressure, no obligation, just friendly expert service approach, contact The Lewis Team today.